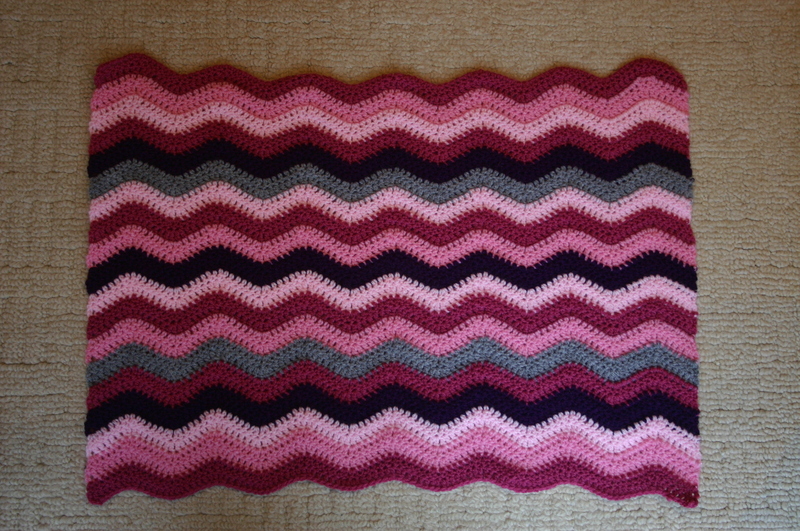 My mini ripple blanket is complete! It has turned out a little different than I had planned…more rectangular rather than square, but it’s just perfect. 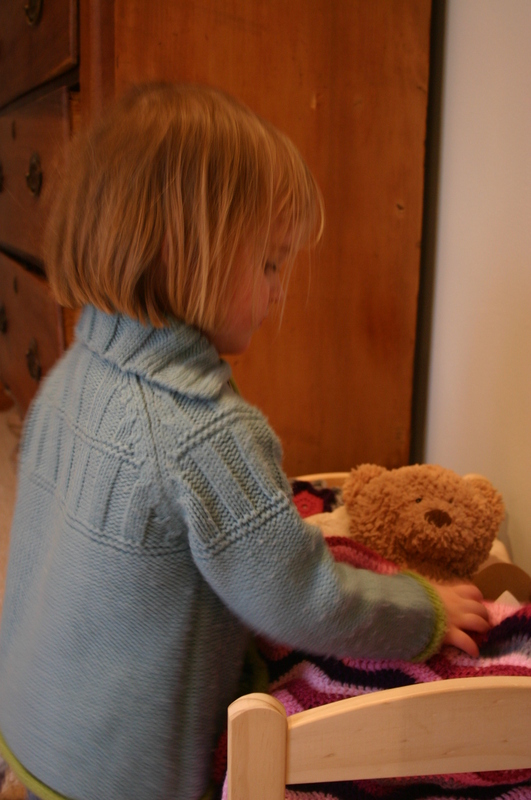 I really love my my daughters’ mini ripple blanket and I think teddy does too! 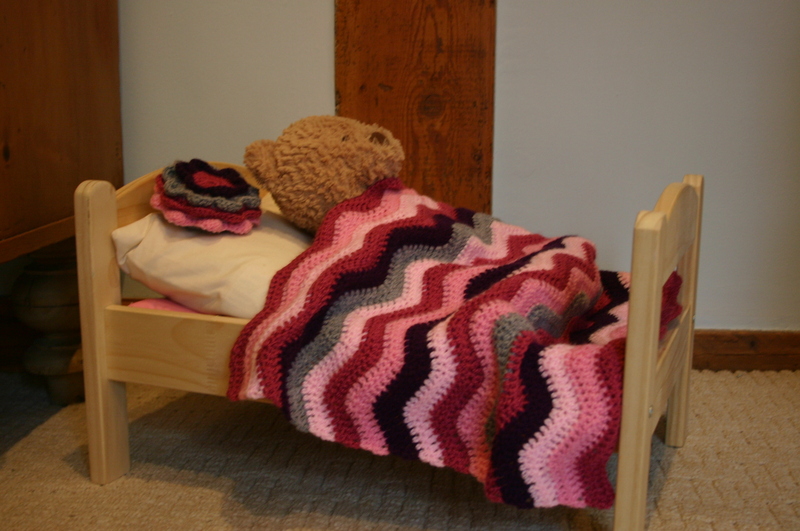 The blanket fits the little (Ikea) bed well and I am sure that it will keep any tired dolls and teddies lovely and warm!